No nobler figure ever stood in the forefront of a nation’s life. In any book which undertakes to tell, no matter how slightly, the story of some of the heroic deeds of American history, that noble figure must always stand in the forefront. 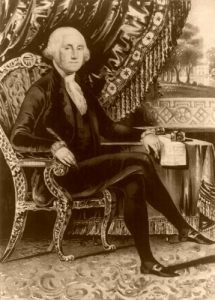 But, to sketch the life of George Washington, even in the barest outline, is to write the history of the events which made the United States independent and gave birth to the American nation. Even to give a list of what he did, to name his battles and recount his acts as president, would be beyond the limit and the scope of this book. Yet, it is always possible to recall the man and to consider what he was and what he meant for us and for mankind He is worthy the study and the remembrance of all men, and to Americans, he is at once a great glory of their past and an inspiration and an assurance of their future. To understand Washington at all, we must first strip off all the myths which have gathered about him. We must cast aside into the dust-heaps, all the wretched inventions of the cherry-tree variety, which were fastened upon him nearly seventy years after his birth. We must look at him as he looked at life and the facts about him, without any illusion or deception, and no man in history can better stand such a scrutiny. 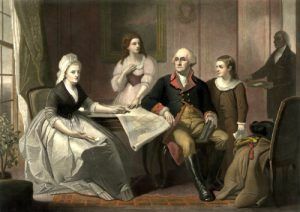 Born of a distinguished family in the days when the American colonies were still ruled by an aristocracy, Washington started with all that good birth and tradition could give. Beyond this, however, he had little. His family was poor, his mother was left early a widow, and he was forced, after a very limited education, to go out into the world to fight for himself. He had strong within him the adventurous spirit of his race. He became a surveyor, and in the pursuit of this profession plunged into the wilderness, where he soon grew to be an expert hunter and backwoodsman. Even as a boy, the gravity of his character and his mental and physical vigor commended him to those about him, and responsibility and military command were put in his hands at an age when most young men are just leaving college. As the times grew threatening on the frontier, he was sent on a perilous mission to the Indians, in which, after passing through many hardships and dangers, he achieved success. When the troubles came with France it was by the soldiers under his command that the first shots were fired in the war which was to determine whether the North American continent should be French or English. In his earliest expedition he was defeated by the enemy. Later, he was with General Edward Braddock, and it was he who tried, to rally the broken English army on the stricken field near Fort Duquesne. On that day of surprise and slaughter he displayed not only cool courage but the reckless daring which was one of his chief characteristics. He so exposed himself that bullets passed through his coat and hat, and the Indians and the French who tried to bring him down thought he bore a charmed life. He afterwards served with distinction all through the French War, and when peace came he went back to the estate which he had inherited from his brother, the most admired man in Virginia. At that time he married, and during the ensuing years he lived the life of a Virginia planter, successful in his private affairs and serving the public effectively but quietly as a member of the House of Burgesses. When the troubles with the mother country began to thicken he was slow to take extreme ground, but he never wavered in his belief that all attempts to oppress the colonies should be resisted, and when he once took up his position there was no shadow of turning. He was one of Virginia’s delegates to the first Continental Congress, and, although he said but little, he was regarded by all the representatives from the other colonies as the strongest man among them. There was something about him even then which commanded the respect and the confidence of every one who came in contact with him. It was from New England, far removed from his own State, that the demand came for his appointment as commander-in-chief of the American Army. Silently he accepted the duty, and, leaving Philadelphia, took command of the army at Cambridge. There is no need to trace him through the events that followed. From the time when he drew his sword under the famous elm tree, he was the embodiment of the American Revolution, and without him that revolution would have failed almost at the start. How he carried it to victory through defeat and trial and every possible obstacle is known to all men. When it was all over he found himself facing a new situation. He was the idol of the country and of his soldiers. The army was unpaid, and the veteran troops, with arms in their hands, were eager to have him take control of the disordered country as Cromwell had done in England a little more than a century before. 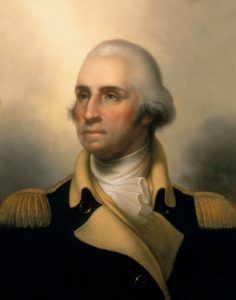 With the army at his back, and supported by the great forces which, in every community, desire order before everything else, and are ready to assent to any arrangement which will bring peace and quiet, nothing would have been easier than for Washington to have made himself the ruler of the new nation. “Mr. President: –The great events on which my resignation depended having at length taken place, I have now the honor of offering my sincere congratulations to Congress, and of presenting myself before them, to surrender into their hands the trust committed to me and to claim the indulgence of retiring from the service of my country. Happy in the confirmation of our independence and sovereignty and pleased with the opportunity afforded the United States of becoming a respectable nation, I resign with satisfaction the appointment I accepted with diffidence; a diffidence in my abilities to accomplish so arduous a task, which, however, was superseded by a confidence in the rectitude of our cause, the support of the supreme power of the Union, and the patronage of Heaven. The successful termination of the war has verified the most sanguine expectations, and my gratitude for the interposition of Providence and the assistance I have received from my countrymen increases with every review of the momentous contest. While I repeat my obligations to the Army in general, I should do injustice to my own feelings not to acknowledge, in this place, the peculiar services and distinguished merits of the Gentlemen who have been attached to my person during the war. It was impossible that the choice of confidential officers to compose my family should have been more fortunate. Permit me, sir, to recommend in particular those who have continued in service to the present moment as worthy of the favorable notice and patronage of Congress. I consider it an indispensable duty to close this last solemn act of my official life by commending the interests of our dearest country to the protection of Almighty God, and those who have the superintendence of them to His holy keeping.